Spirits Blade and Bow Bourbon - Royal Wine Merchants - Happy to Offer! Aged in new charred American white oak barrels, this bourbon has a subtle aroma of fresh fruit and a taste that includes hints of dried apricot, ripe pear and a sweet roasted grain. The finish has notes of charred oak and warm winter spices. Named after the two parts of a skeleton key, the blade shaft and the ornate bow, the Blade and Bow brand is a tribute to the five keys that once hung on the door of the Stitzel-Weller Distillery. These keys represented the five steps of crafting bourbon-grains, yeast, fermentation, distillation and aging. But more importantly, they grew to symbolize the southern traditions of hospitality, warmth and enjoying the finer things in life. 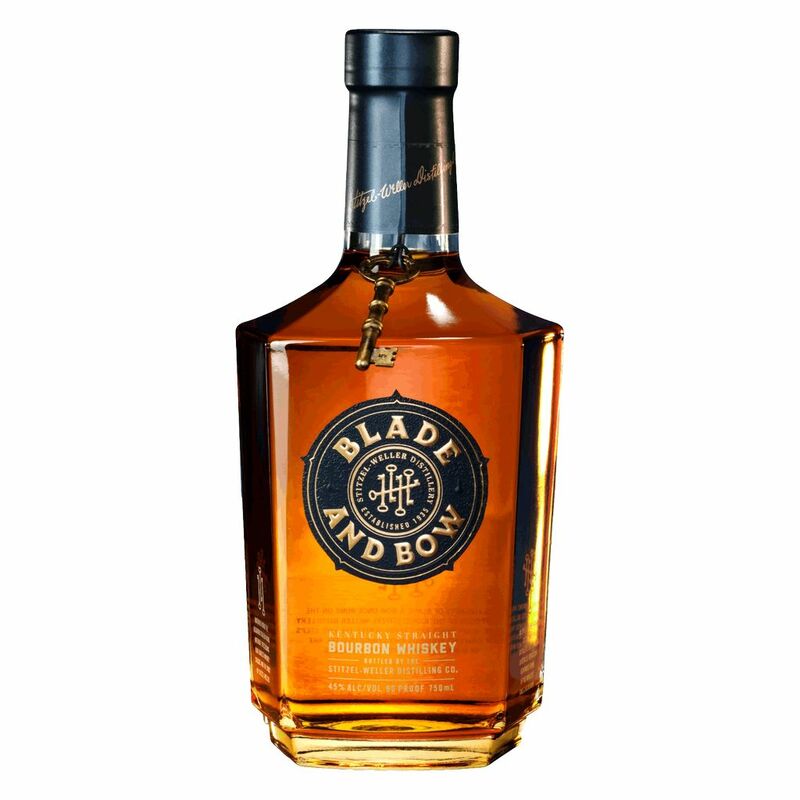 A homage to the legendary Stitzel-Weller distillery, Blade and Bow Kentucky Straight Bourbon Whiskey uses a unique Solera System aging process to preserve some of the distillery’s oldest whiskey stocks, including some of the last bourbon produced there before it closed in 1992.